SANAA, Yemen -- Iran dispatched a naval destroyer and a support vessel Wednesday to waters near Yemen as the United States quickened weapons supply to the Saudi-led coalition striking rebels there, underlining how foreign powers are deepening their involvement in the conflict. 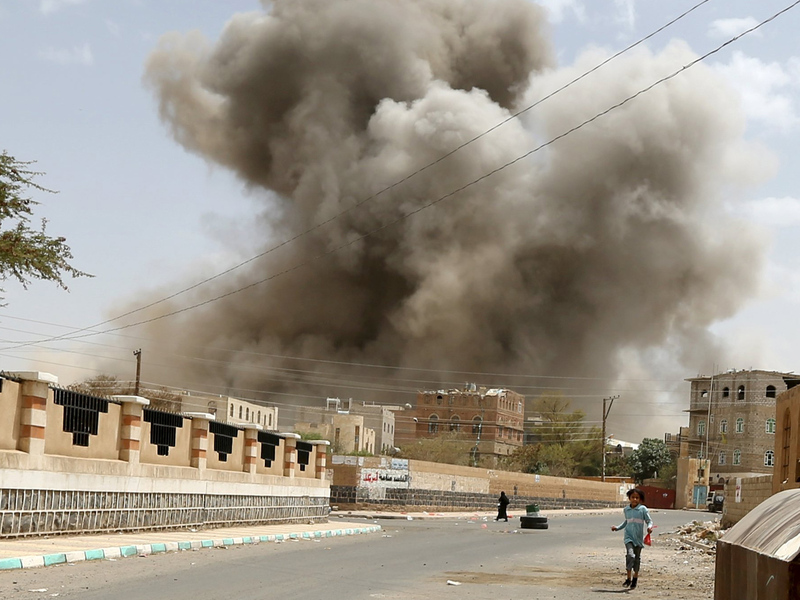 Flash Points: Yemen conflict could signal "deeper regional war"
The maneuver in the Gulf of Aden comes amid an intense Saudi-led Gulf Arab air campaign targeting the Yemeni rebels, known as Houthis, who come from a Shiite sect. Critics say Shiite power Iran backs the Houthis, though both the Islamic Republic and the rebels deny any direct military assistance. CBS News correspondent David Martin reports the U.S. has also begun flying aerial refueling missions for the Saudi-led coalition, and will continue to do so once daily. The U.S. says that the chaos has allowed the local al Qaeda branch, which it considers the world's most dangerous wing of the group, to make "great gains" on the ground, causing Washington to rethink how it prevents it from launching attacks in the West. Speaking from Tokyo, Defense Secretary Ash Carter said the collapse of the central government in Yemen makes it harder to conduct counterterrorism operations against al Qaeda in the Arabian Peninsula (AQAP), which has ambitions to strike Western targets, including the United States. Regarding the weapons deliveries, he said it involved "some resupply of equipment and munitions" to Saudi Arabia.